Manufacturer & Exporters of ASTM A335 Alloy P91 Seamless Pipe & A213 T91 Welded Tubes, Alloy Steel P91 ERW Pipes, Alloy T91 EFW Tubes Supplier in India. We provide a wide range of ASTM A335 P91 Alloy Steel Seamless Pipes. 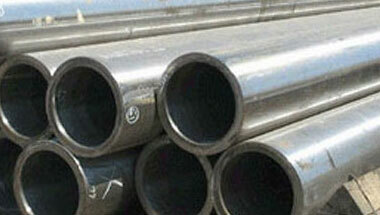 Our range comprises of ASTM A335 P91 Alloy Steel Pipes. Available in different dimensions & grades, these ASTM A335 P91 Alloy Seamless Pipes are widely used in different industries like Dairy, Food processing, engineering, construction and many more. ASTM A213 T91 tubes shall be made by the seamless process and shall be either hot finished or cold finished, as specified. These P91 pipes & T91 tubes are widely used in various application industries such as Oil & Gas, Power, Fertilizers, Heat-Exchangers, Paper & Pulp, pharmaceuticals, Chemicals, Water Treatment, and Dairy etc. These tubes are manufactured by using superb quality raw material and advanced technology which makes them highly sturdy and tough. ASTM A335 P91 High Pressure Pipe & Tube Exporter, Alloy Steel A213 T91 Seamless Tubes Supplier, Alloy P91 Fabricated Pipe, ASME SA335 P91 SAW/LSAW Pipe Manufacturer in India. Venezuela, Egypt, Sri Lanka, Ethiopa, Chine, Kazakhstan, Cameroon, Kuwait, Algeria, Sudan, South Africa, Iraq, Indonesia, Italy, Germany, London, Brazil, Russia, Jordan, Turkey, Malaysia, Australia, Nigeria, Mozambique, Azerbaijan, Angola, Dubai, Mexico, Ghana, Peru, Houston, Saudi Arabia, Morocco, Democratic Republic of the Congo, Argentina, Tunisia, Uganda, Vietnam, Trinidad and Tobago, Thailand (Bangkok), Africa, UK, Colombia, New Zealand, Canada, UAE, Iran, United States, Israel, Bahrain. Kaduna, Dakar, Port Harcourt, Kinshasa, Abu Dhabi, Kolwezi, Antananarivo, Tripoli, Khartoum, Kano, Fez, Maputo, Omdurman, Benin, Johannesburg, Lusaka, Lubumbashi, Dammam, Lagos, Doha, Jerusalem, Zaria, Amman, Brazzaville, Conakry, Accra, Dar es Salaam, Byblos, Durban, Cairo, Freetown, Pretoria, Tehran, Ouagadougou, Bamako, Istanbul, Casablanca, Kampala, Sharm el-Sheikh, Addis Ababa, Giza, Bulawayo, Manama, Bethlehem, Harare, Dubai, Maiduguri, Beirut, Cape Town, Jeddah, Yaoundé, Abidjan, Muscat, Aqaba, Tel Aviv, Mogadishu, Mecca, Colombo, Hong Kong, Subra al-Haymah, Port Elizabeth, Douala, Luanda, Algiers, Singapore, Rabat, Ibadan, Riyadh, Cairo, Soweto, Nairobi, New York, Mbuji-Mayi, Alexandria, Data from the UN.